Next week, REALTORS® will have the first chance to be able to take advantage of next-level digital marketing and branding with a new top-level domain from NAR and industry leader Second Generation, Ltd., .realestate. The .realestate domain is set to launch with an NAR member pre-sale on Tuesday, Sept. 18, and then to the public on Nov. 26. Designed to help brokers and agents market themselves, their businesses, their listings and their wide array of expertise and services in creative new ways, the .realestate domain will forge stronger connections with homebuyers, sellers, investors, property owners and anyone involved in the real estate industry, according to NAR. The domain will be launched in partnership with Second Generation, an industry leader in registry services. In 2014, NAR worked with the firm to launch its first domain, .realtor™, which enables REALTORS® to create distinct email and web addresses that associate them with the professionalism and credibility that comes with being a member of NAR, according to the organization. The .realtor™ domain is not available to the public. Brokers can create an exclusive brand identity with their firm website. Agents get a .realtor™ address to redirect to their profile page. According to NAR, the benefits of these include ease of use on social media, marketing and services. These can be used for marketing to consumer interests. Promotes areas of expertise or geographies. 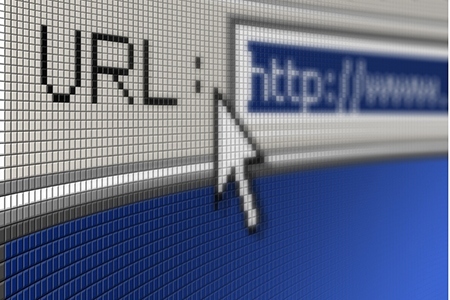 What web addresses would make a difference for your business? NAR and Canadian Real Estate Association (CREA) members can start planning now for the .realestate 60‑day member pre‑sale, which will be open on Tuesday, Sept. 18 at 11:00 a.m. through Friday, Nov. 16 at 11:59 p.m. EDT. For pre-sale access, members must have an active .realtor™ domain. After the pre-sale, the .realestate domain will be available to a far more expansive audience worldwide than those that have access to a .realtor™ domain, so NAR is encouraging REALTORS® to act fast and lock-in their .realestate domain during the pre-sale period. Visit www.get.realtor today to claim your FREE* .realtor™ domain. Already have a .realtor™ address? Log in, make sure your domain is still active, and verify that your credit card is still valid. Build a list of .realestate domains you want to secure. *Free for the first year, one per individual REALTOR® member. Visit www.get.realestate/ris to make sure you’re ready for the pre-sale.